Here is a rare trading card I picked up around the time Skyfall was in theatres. 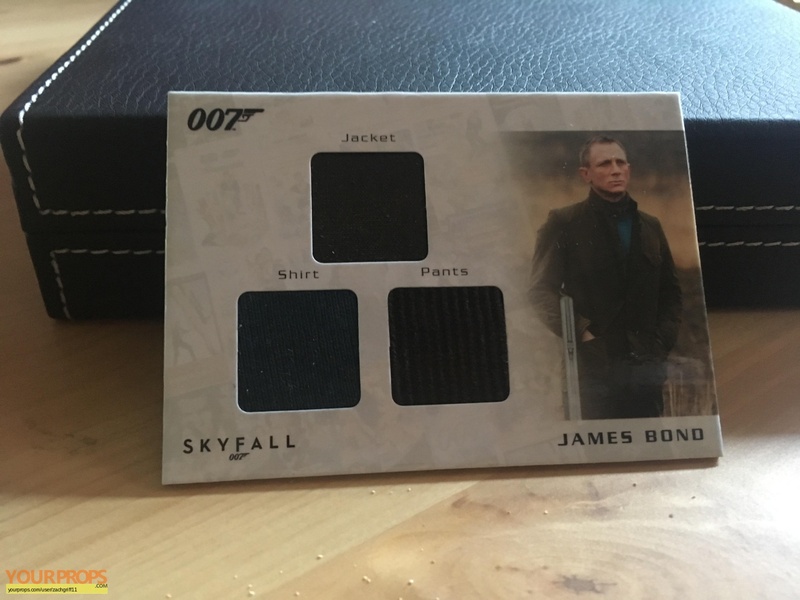 It has swatches from Daniel Craig's costume from the explosive finale of Skyfall. It has a swatch taken from his pants, shirt, and jacket. 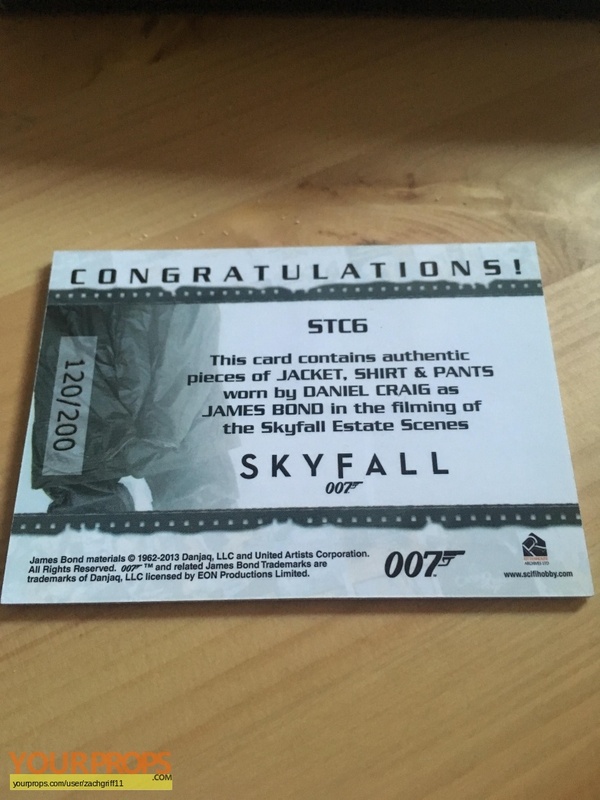 It is card number 120/200. I can't say with any certainty that these swatches are screen used but the card claims to be, but I won't list it as such. view all 9 items of "zachgriff11"
** The content of this listing is the sole responsibility of zachgriff11. Yourprops.com, its owners, agents and assigns assume no liability.